Woodland Square as it looked Thursday from Salem Avenue near Periwinkle Creek. 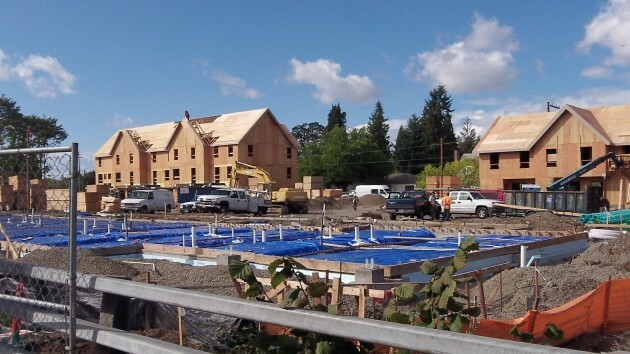 The apartment buildings in Albany’s Woodland Square project are going up pretty fast. At least it seems that way to this frequent passerby. And it’s possible the first residents may be able to move in next February. The $10.6 million project at Pine Street and Salem Avenue is being built with a $1.45 million assist under the urban renewal program of the Central Albany Revitalization Area. It replaces a rundown trailer park that had been a sore spot with the neighborhood for many years. Innovative Housing of Portland, the developer, has described the 54 units in Woodland Square as “workforce housing.” Greenberry Construction of Corvallis is the prime contractor. The construction site from about the same vantage point on Sept. 30. “We are on budget and on time,” reports Julie Garver, the housing development director for the development company. She says the first two buildings on Pine Street will be ready to occupy in February, and the other three will be ready in May and June. 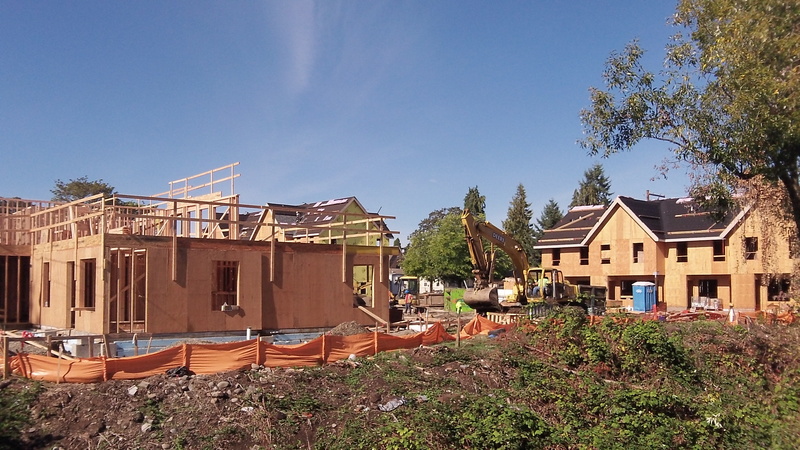 The project includes aparments of one, two, three and four bedrooms. Rents will range from $424 to $781 depending on the size of unit, Garver says.